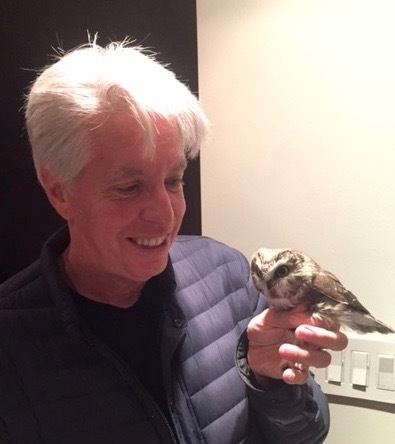 Jerid O’Connell holding a Saw-whet Owl at the Smith Richardson preserve. 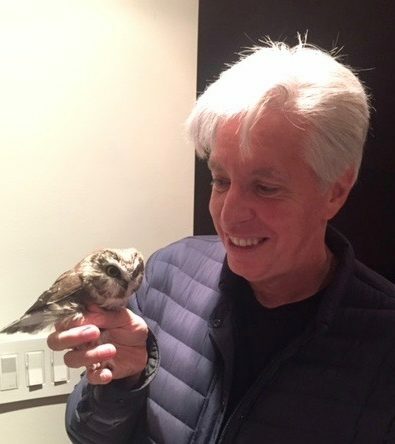 Join Jerid as a Member of the Connecticut Audubon Society! “Smith Richardson is an amazing property. The Pequot Indians lived here and named it Machamux (“beautiful land”). The Richardsons, who protected the land and donated it to Connecticut Audubon, did an amazing service by preserving this 75 acres. For those of us who love nature, we must chip in to help to help maintain and preserve these remaining wild places. No organization can do it alone. “We have two goals for the preserve. We want to remove the invasive vines and non-native plants and restore as many native plants as possible. With so many foreign plants used in the landscaping of the surrounding houses, the native plants will help supply food for many bugs and butterflies and, I hope, will build an awareness of the importance of native plants with the volunteers and visitors to the preserve.